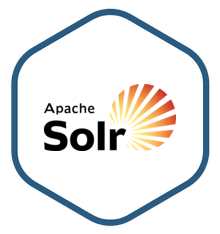 Apache Solr image is secure, up-to-date, and pre-configured to work out of the box. Apache Solr is an extremely powerful, open source enterprise search platform built on Apache Lucene. It is highly reliable and flexible, scalable, and designed to add value very quickly after launch. Apache Solr is a powerful, open source enterprise search platform built on Apache Lucene. It is designed to be highly reliable and fault tolerant, with distributed indexing, replication, load-balanced querying, and centralized configuration management built in. Features include full-text search, hit highlighting, faceted search, database integration, rich document handling, and geospatial search. Solr is optimized for high-volume applications and near-realtime indexing, and makes a number of extension points available for your own index and query plugins. It is built to scale up horizontally, with a well-designed, responsive admin interface for controlling your servers from anywhere. Used by many of the largest companies in the world, Solr is easy to get started with and powerful enough to handle any dataset.